Please call your Congressman or Congresswomen and ask them to sign onto H.R.5391. the following press release explains just what H.R.5391 is. It only takes a couple of minutes and you will helping us the remember 91,719 Servicemen who remain unaccounted for since WWI. If your Congressman is Steven Lynch please call his office and thank him for introducing this bill. We need this done NATION wide. Let the families of our POW/MIA’s know that we have not Forgotten their Loved ones who fought so bravely for all of us. WASHINGTON, DC – Today, Congressman Stephen F. Lynch (D-MA) introduced H.R. 5391 the National POW/MIA Remembrance Act of 2014. The bill honors American Prisoners of War/Missing in Action (POW/MIA) by placing a chair on the grounds of the United States Capitol. 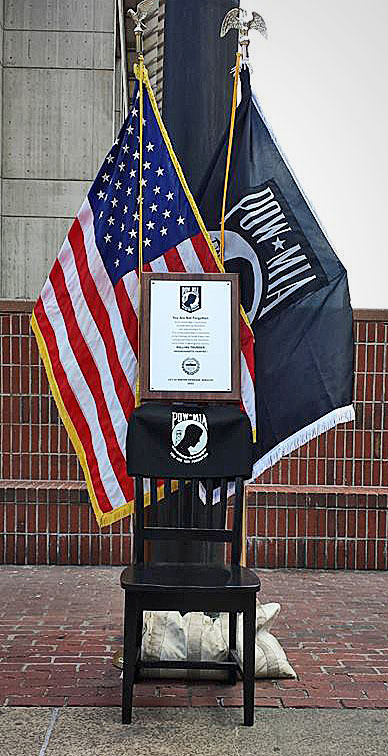 Recently, POW/MIA commemorative chairs have been placed in prominent locations in cities and states across the country. 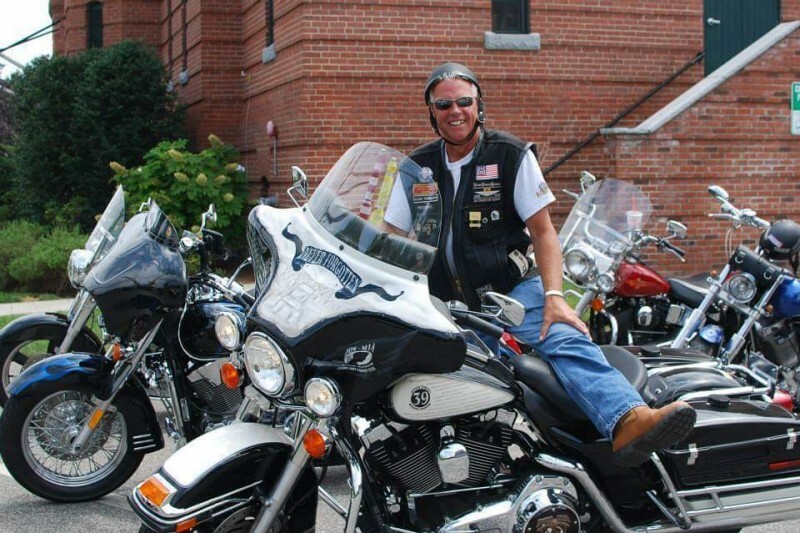 This spring, Joe D’Entremont, President of Rolling Thunder MA 1, visited Washington, DC and met with Congressman Lynch. They discussed the importance of honoring these brave men and women and Congressman Lynch was eager to introduce this legislation. The chair will feature the logo of the National League of POW/MIA Families and remain unoccupied to honor their courageous service. “I am proud to work alongside Joe D’Entremont and my colleagues in order to pay our respects to the men and women who are Missing in Action or Prisoners of War. This chair will stand as a reminder to their families and our nation that we will never forget their heroic service and sacrifice,” said Congressman Stephen F. Lynch. “The U.S Capitol serves as a symbol of our nation’s history and enduring spirit, so it is appropriate to recognize those who remain unaccounted for under its dome.” Lynch added. “Massachusetts continues to set the standard for the rest of the country when it comes to honoring and taking care of our military. Our servicemen who remain unaccounted for must never be forgotten. 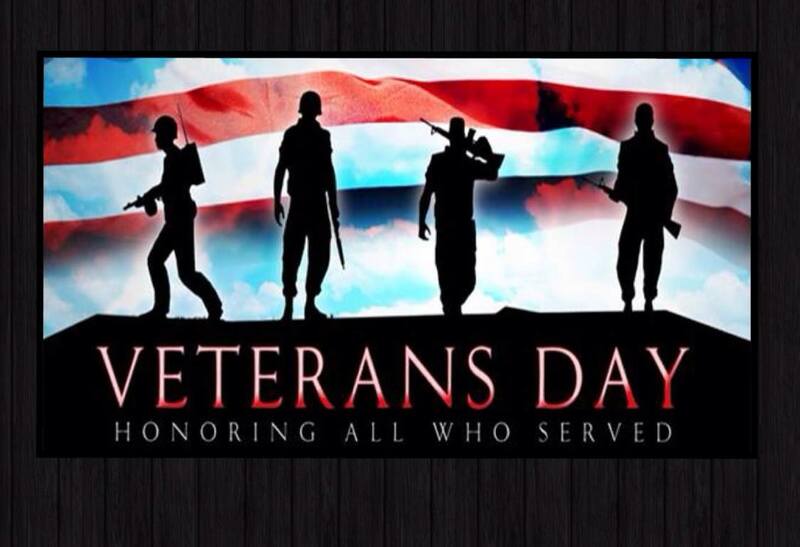 It gives me great pride to serve the Veterans of the Commonwealth of Massachusetts and to work with such patriots. 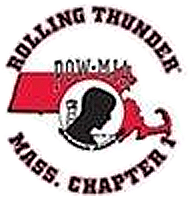 May the families of our POW/MIA’s find comfort in the chairs we have placed across this country in honor of their loved ones until they are home,” said Joe D’Entremont, President of Rolling Thunder MA 1. “I send my sincere thanks to Congressman Lynch for all his work on this issue and the many issues facing our veterans,” D’Entremont added. A companion bill in the United States Senate has been introduced by Senator Elizabeth Warren.